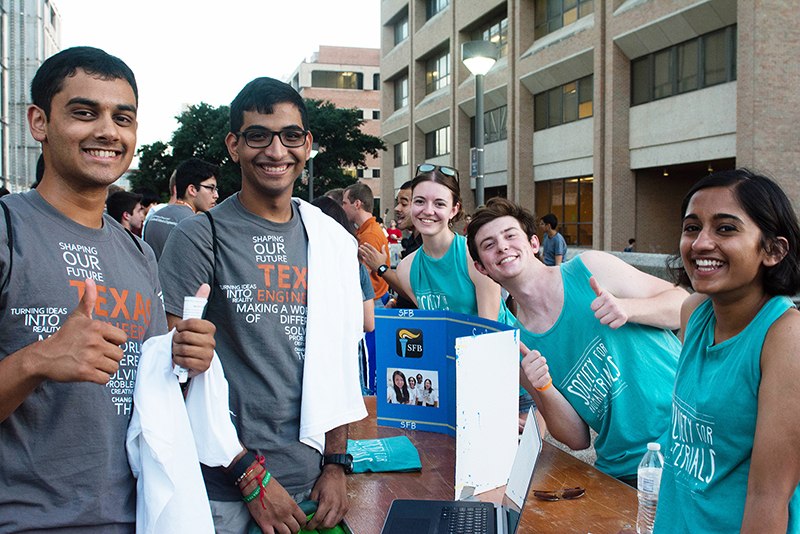 As an integral part of the community in the Cockrell School, student organizations provide a means outside the classroom for Texas Engineers to make new connections, discover and develop their individual skills and abilities, learn from their peers and interact with alumni and corporate representatives. With more than 80 student organizations, you can find an outlet for every engineering interest and a community for students of every background. Many organizations are student chapters of national and international professional engineering organizations and provide professional development and service opportunities for all students. The Cockrell School's Engineering Student Life Office provides opportunities for students to participate in leadership, team-building, cultural and community-building activities across Texas Engineering, in addition to providing support to the school's 80+ engineering student organizations. For more information, contact Engineering Student Life at studentlife@engr.utexas.edu.